Had a jam-packed & productive day! Met with my future boss, browsed town with my sis & did my weigh in for Operation Transformation. I lost 2 lbs since last wk! I’m shocked! So happy with my results! Didn’t think I’d lose anything since I haven’t been watching what I eat & been driving to college every day since the weather has been so bad. Managed to squeeze in an hour and a half of prep work for college and then headed home for dinner. Went to S’s house for a movie night. We watched Brave and had some snacks. Gotta love that Scottish accent! Still can only manage to say ‘Merida’ & ‘aye’ with a convincing accent but oh well! Afterwards headed to Seapoint cos we got vouchers texted to us & ended up winning €10!! Triple 7’s for the win! 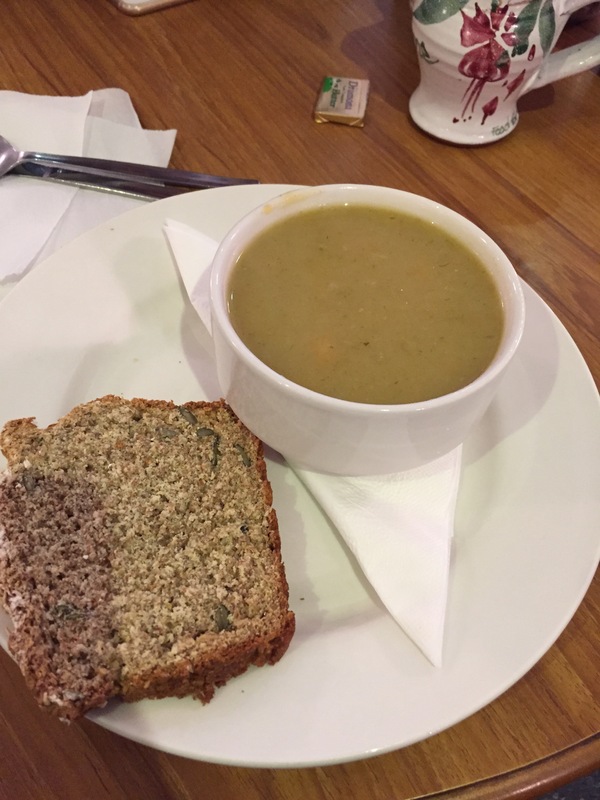 Lunch: went to Food for Thought with my sister and got veggie soup. It was really good and piping hot. A pet peeve of mine is when soup is served lukewarm. They have vegan shepherds pie which looked good. Must go back and try it. Dinner: made aubergine & butternut squash curry with chickpea & cardamom rice. Snacks: at S’s house had some melon, veg spring rolls, chips & hummus. Yum!